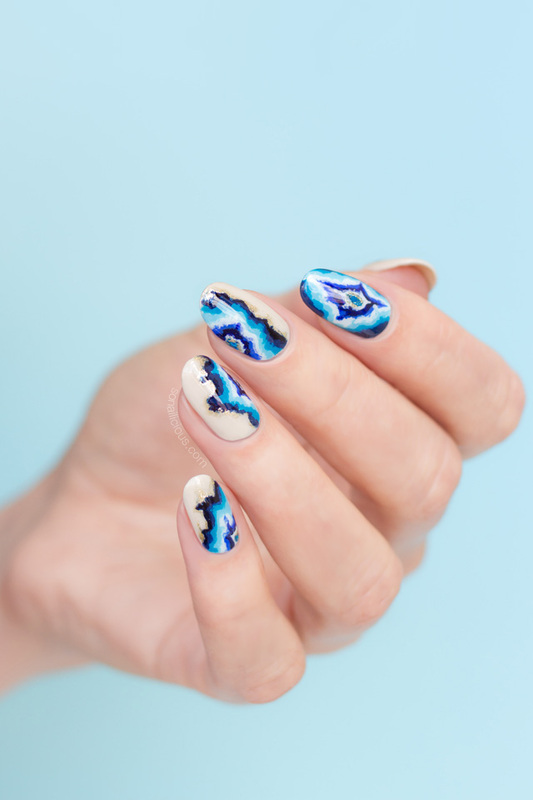 The first time I did Geode nails for my Beauty Expo masterclasses and the design became so popular, it literally started a new nail trend! So of course, for such an important event, as the launch of the new SoNailicious nail art tool (which is TOMORROW!) I decided to do Geodes again. This time however, I’m using the new magical tool at it’s final form. Just to see how much improvement can be achieved and well, I’ve been dying to try Blue Geodes as well. I’ve used 10 different colours* to create this design. 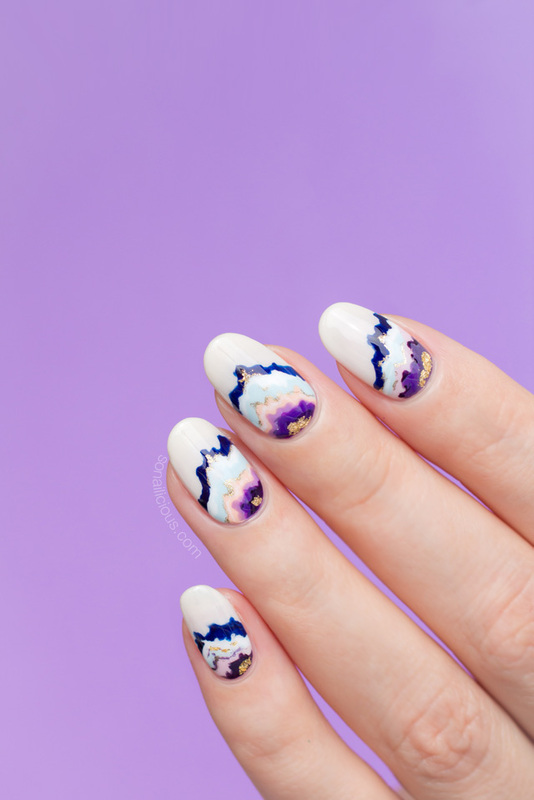 As you can see, the latest version looks much more detailed and realistic compared to Purple Geode nails (photo below) I did earlier this year with the prototype of the new SoNailicious tool. It took me approximately the same time to do the Blue Geodes. However, what made a huge difference is the new tool that I’ve been using. It allowed me to paint the intricate lines – Geode layers – as realistic as possible, and much faster. 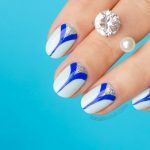 HOW TO: This design is entirely freehand painted! 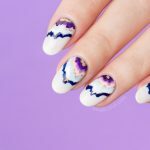 I’ve filmed a nail art video tutorial for this design, so you can how you can do Geode nails yourself easily with the right tools. 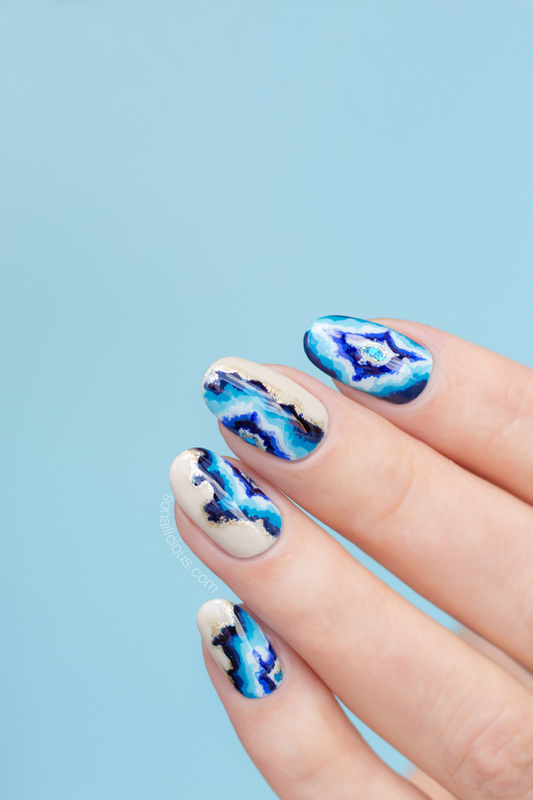 However, I had to publish it after the launch because the brushes could not be revealed before the launch, obviously ;) So the brushes have been launched, here’s the Realistic Geode nails how to for your viewing pleasure. 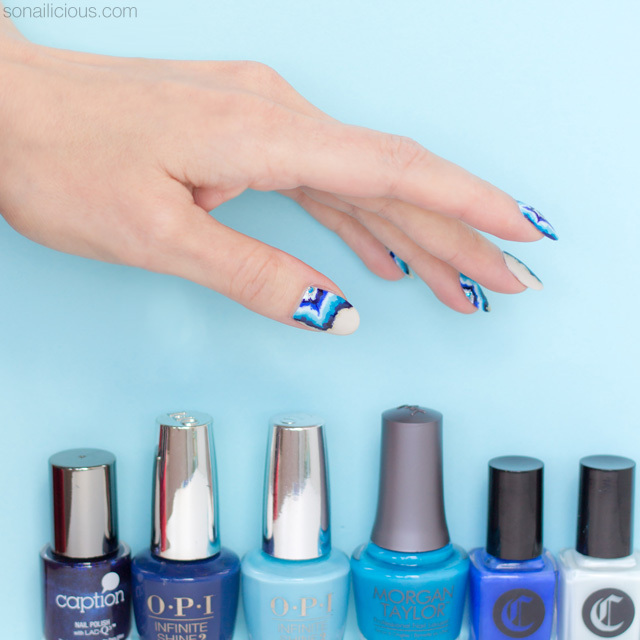 * Full details of the polishes that I used at the end of the post. 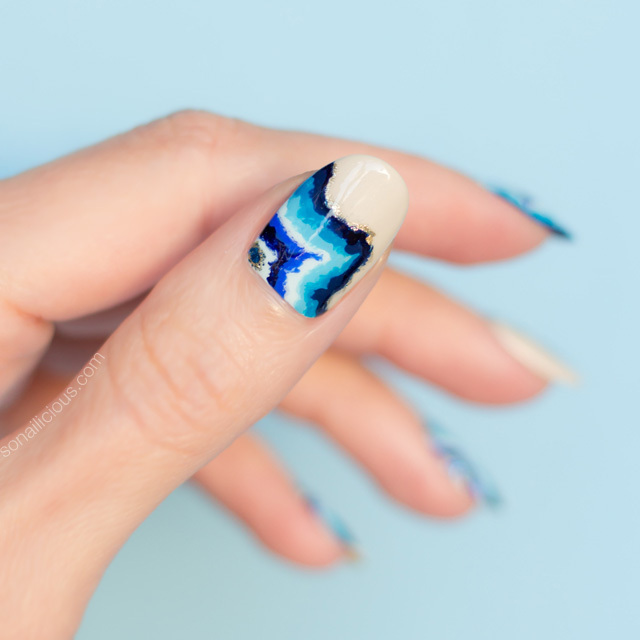 UPDATE: The new nail art product has been launched and I can now reveal that these Blue Geode nails were created entirely with 1 nail art brush – The Warrior. 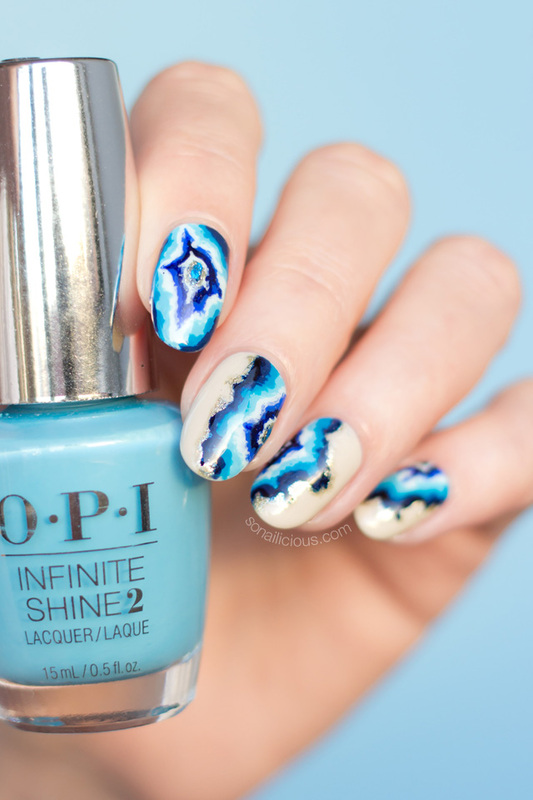 So… what do you think about the Blue Geode nails? And… are you keen to see the video tutorial? 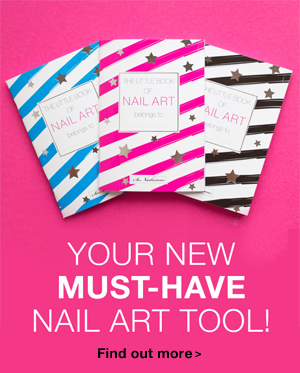 UPDATE: The new nail art tool has now been launched! 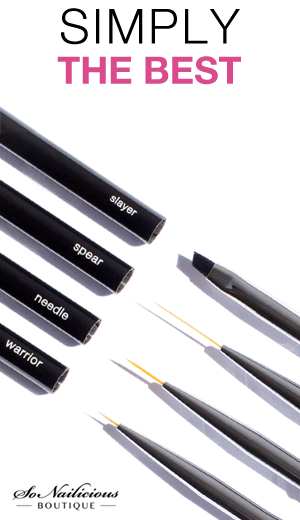 Find everything about the new SoNailicious nail art brush range here.